Purposes: Spectraflex® Coasters are the ideal product for anyone who wants to protect the surface of a table or desk where someone might place their beverage. Affordable, colorful, and flexible, this product has been used in promotions for restaurants, taverns, convention centers, coffee shops, casinos, and so many more. 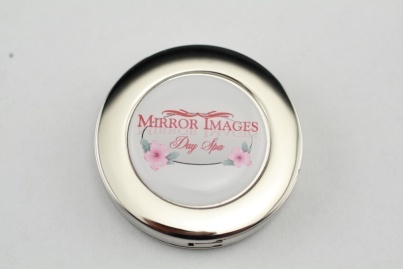 The cost, color vibrancy, and capacity for replicating small detail make this a very popular promotional product. Objective: To create new product buzz and name and introduce a few new sales representatives—who would be focusing on this portion of the company’s product line at a large industry trade show. Strategy: By the drilling and motor company’s marketing department thinking out of the box in designing this giveaway, it was hoped that the new product would be talked about and that the sales people would be considered fun and easy to talk to. The product decided on was a Spectraflex® coaster shaped into a record (for the new record breaking capabilities of the new product), and the record cover would be a playful image of the product and sales managers. By the first three days at the trade show, the company’s leads generated from the trade show tripled. Everyone seemed to be requesting one, and the playful imagery of the sales team caused a lot of conversation and speculation. After the success of the product at the trade show, it was decided that the sales team would carry the Spectraflex® Coaster/Record gift in their sales kit—many of the sales staff have remarked on what a great conversation starter the product is and how practical for meetings. Purposes: Wearable Recognition at a surprisingly affordable cost. This item is perfect for team-building, corporate meetings, awards, fraternal organizations, schools, youth groups and athletic events, or any other time, when you want someone to share the appreciation they deserve with everyone. Objective: While implementing shifting from a corporate prescriptive approach to a governance approach for best safety practices in on-shore pipeline construction, the risk management (one of the five elements in the new management system) created a safety incentive program for the employee involvement that included safety meetings and also, awards for days passed since the last workplace injury. 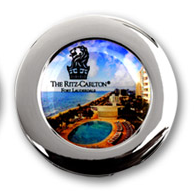 As part of the incentive, the risk management team gave employees: vacation days, award rings, t-shirts, and bonuses. Strategy: Although there wasn’t a huge budget for incentives, the risk management team wanted to give all field personal an affordable wearable reward for their 90-day incident free track record. 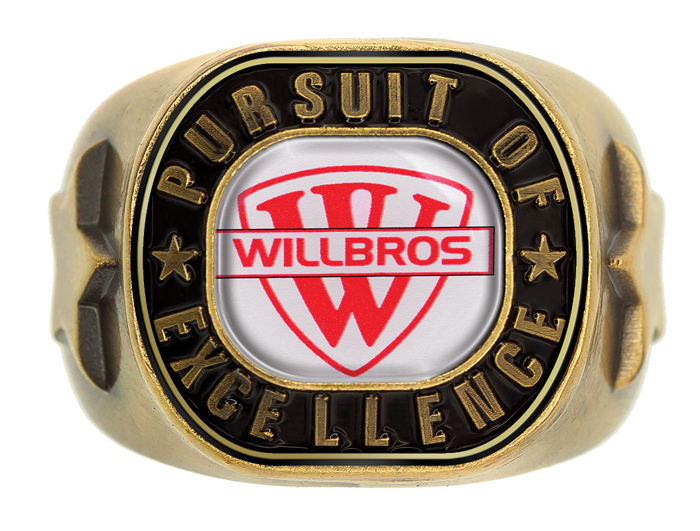 The full color poly dome award ring was within the risk management team’s budget. After the HSE (Heath, Safety, and Engineering) initiative was founded and incentives were created, the risk management team was able to manage safety and reduce the number of incidents out in the field by 22.4%. Purposes: Bag hangers are the perfect gift or giveaway item for groups or companies looking for the unique and the practical. Bag hangers keep belongings close, clean and safe, and also prevent bags from being exposed to contagions such as E. coli and Hepatitis thought to be on public restroom floors, booths in restaurants, public transportation and even in on the floorboards of cars. In one study that was verified on Snopes.com, one in four bags tested positive for E. coli. Objective: Branding, durability, and practicality, all while being able to be created in less than two weeks. In addition, deluxe packaging needed to be included with the product. Strategy: A large luxury hotel conglomerate decided to send holiday gift to the ladies in their reward club. The project was put on hold until the last minute, so the gift needed to include deluxe packaging—and be ready to distribute almost immediately after production. The company wanted an original gift, but needed something practical that embraced their luxurious look and feel. The folding bag hangers were selected and club members liked them a lot. They hold up to 15 pounds and safely hang from any flat surface. Strategy: The West Society at Meharry Medical College wanted an elegant way to recognize their esteemed and exclusive members. 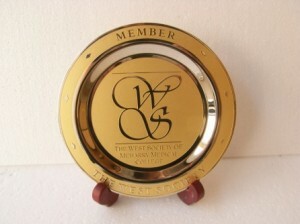 Members were presented with medallion plates, which are proudly display on bookshelves, in offices and display cases. Purposes: Healthcare and wellness, eco-friendly initiatives, bicycle enthusiast groups, child safety groups, awareness and cause races, triathlons, 5K’s, tourism and travel promotion, corporate challenge events, school and youth groups, sporting goods retailers, fundraisers. Strategy: A non-profit group wanted a fun way to remind children to wear helmets while riding their bicycles. 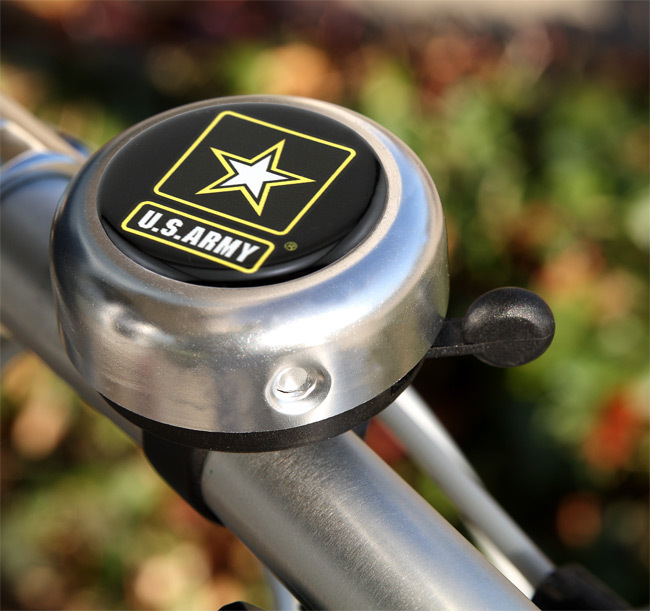 Bicycle bells served as a visual and auditory cue to remember to ride safely; all right at their finger tips. Purposes: Restaurants, bars, women’s organizations, fashion and beverage industries, corporate gifts and small business advertising, women owned businesses, public service and cause awareness campaigns, insurance and travel. Strategy: A high-end day spa wanted and economical way to promote their business to their predominantly female client base and show appreciation to their top-tier customers. They included custom Folding Purse Hangers as part of the gift bag given to customers who purchased their deluxe spa packages. Now their best customers show off their business every time they hang their purse in public.